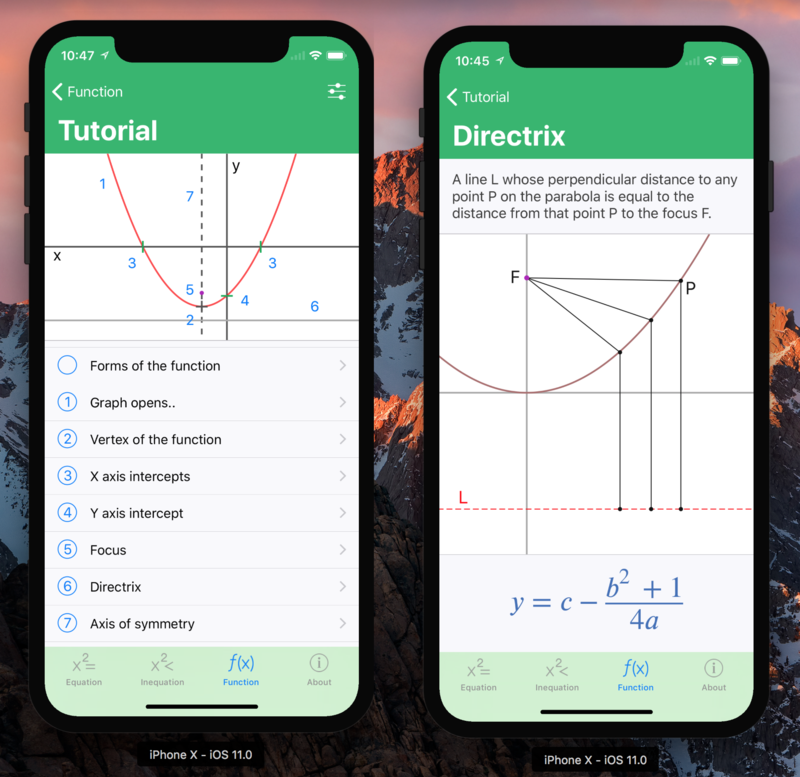 In the past two days, I’ve worked on and finished update of one of my apps for iPhone X. There were a few challenges along the way, and that’s where this post comes in. In this post, I’ll try to share some of the less obvious things that I came across and how I solved them. 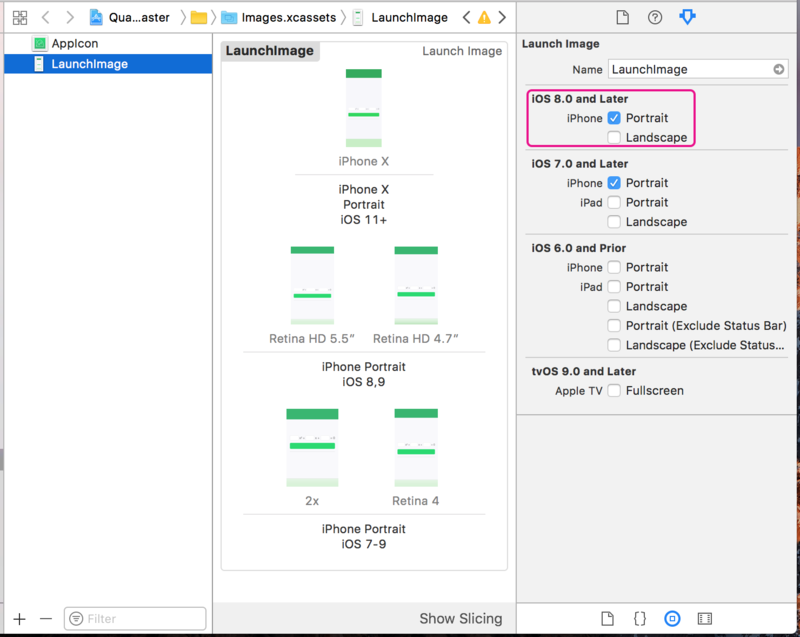 Similarly as with the 4″ form factor, or more recently the 4.7″ and 5.5″ iPhones introduced in 2014, you can opt in by either using a launch storyboard or a Default launch image with the correct dimensions. In case of the latter, you’re likely already using a ‘LaunchImage’ set inside of an Asset catalog (Images.xcassets). Here’s what surprised me: when you open it, there’s actually no spot for the iPhone X. You have to manually select the corresponding checkmark on the right, in the Attributes Inspector -> iOS 8.0 and later. Then you can drag in the launch image. At first, I just used a screenshot of the simulator. Safe area insets are the main building block upon which you can base the iPhone X support. For existing projects, they’re not enabled by default in the Storyboard. Instead, you can opt into them in Utilities -> File Inspector -> Use Safe Area Layout Guides. The important thing here: they are backwards compatible all the way to iOS 9. But if you were supporting iOS 8 before, you need to manually change ‘Builds for’ option to iOS 9.1 and Later. 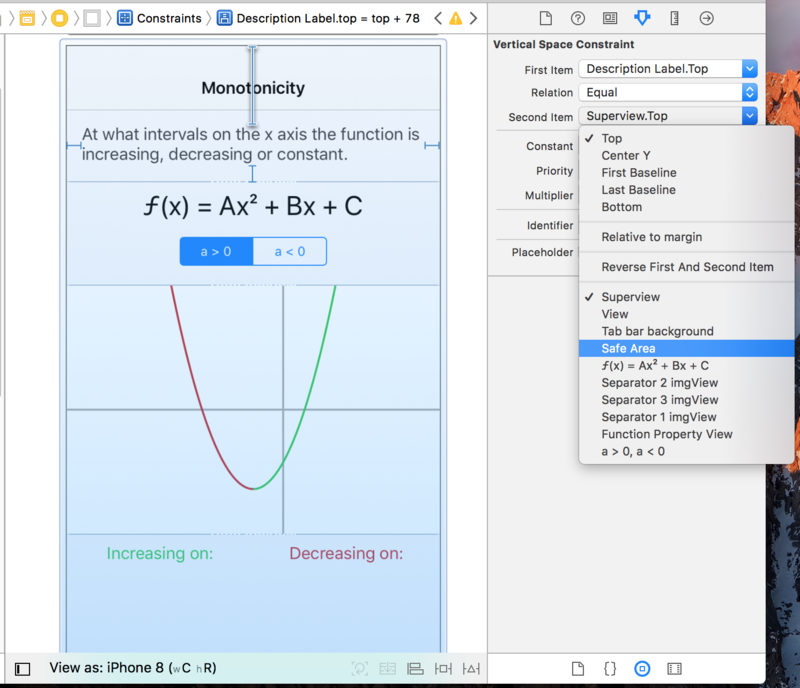 I highly recommend checking out the WWDC session Auto Layout Techniques in Interface Builder to learn more. // We're running on an iPhone with a notch. The key here is to use the UIWindow’s safeAreaInsets, because those are not affected by any navigation bars / toolbars / tab bars. All non-notch devices are guaranteed to have zero safeAreaInsets at the screen level. I must admit that I really disliked the huge navigation bar. But when designing for the iPhone X and seeing how extremely tall it is, I decided to give it a go. It actually looks pretty good there. To enable it, you need to do two things: (1) Allow large titles in the navigation bar, (2) Specify which navigation items should have which bar (large, normal, or “inherited”). Make sure to watch Updating Your App for iOS 11 to learn more. 5) Relax. There’s still a lot of time to get this done. At first, I thought that I should have the iPhone X support ready for all of my apps as part of their updates to iOS 11. It feels weird to ship an app that is broken in the iPhone X simulator. But then I realized it’s actually ok. Nobody will be using these devices until November. So it’s actually better to ship you iOS 11 updates now, to have them out there once iOS 11 comes out next Tuesday. Then, you have a month and a half to get it done properly and be ready for when those X-es come out. I hope you found this article useful. If you have any interesting things that you discovered while updating your apps for the hot new top-notch device, feel free to share them in the comments section below! Hi Lukas. Thanks for the article. I wanted to do the same thing but i’m not sure where to put the code. You mentioned topmost VC, do you mean the first VC? And where to I put it? Tried putting it in viewdidload but got so many errors. Sorry, newbie here. Good one. 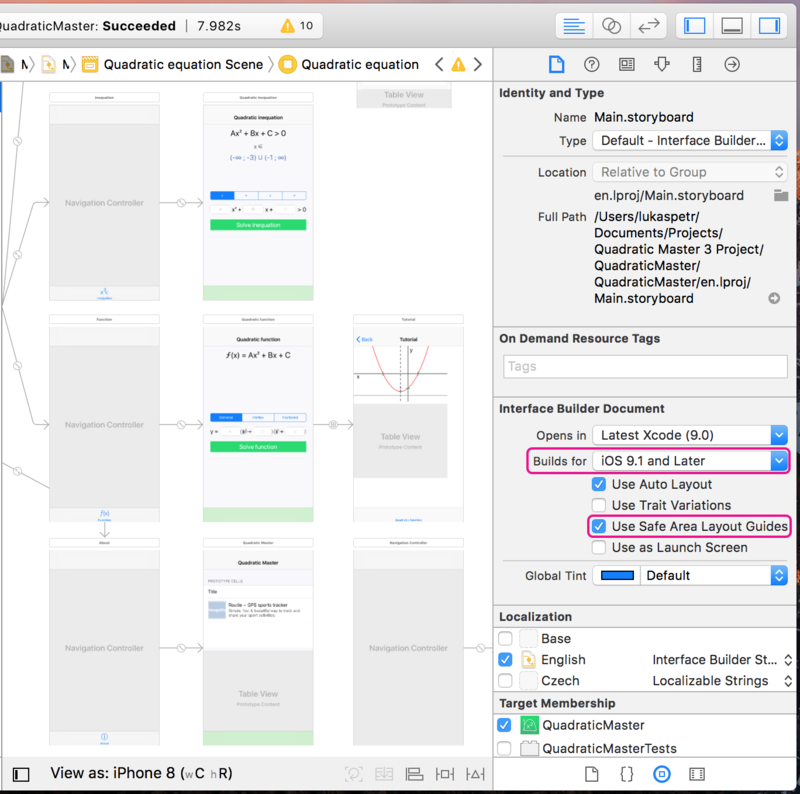 [UIApplication sharedApplication].delegate.window.safeAreaInsets.bottom > 0) was a big help as I was relying on the current view in an old app, which doesn’t reliably show safeAreInsets. Thanks for the article!